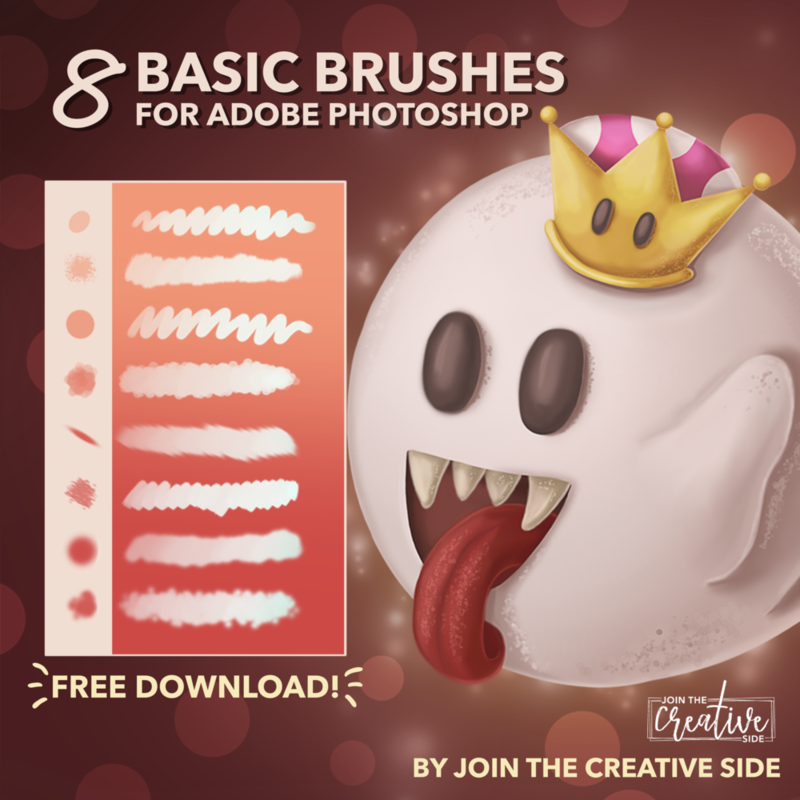 Inside this bundle are my eight favorite brushes I use daily when I am digitally painting in Adobe Photoshop. (And they are the only ones I need!) From sketching to lining to coloring; This brush pack contains all the essential brushes for creating digital art. Wacom Intuos S - I use this drawing tablet to draw digitally in Photoshop. The small and light-weight design makes it easy to carry around. Skillshare - Skillshare is an online teaching platform where you can almost learn every skill you want. I use Skillshare to take digital painting classes. Use the link to get a 60-day trial. Photoshop coloring course - I have hosted my own course on Skillshare: How to color your artwork like a pro in Adobe Photoshop. Here, I will walk you through every step to improve your coloring skills with Photoshop. Use the link above to get a 60-day trial. Printful - I use Printful to produce, package and ship my merch. I sell my digital art on prints, mugs, pillows, etc., and I couldn’t do it without Printful. Printful course on Skillshare - Yep, that’s right. If you find Printful a bit overwhelming; I have an in depth walk through on Skillshare; How to sell your own artwork on Products at zero cost with Printful. Use the link above to get a 60-day trial. Squarespace - For my website. Since Squarespace is so simple, I actually don't need more tools for building this website. Convertkit - Convertkit is the platform I use for my email list, and for automating my email campaigns. Camtasia - For recording + editing my digital painting videos. Tailwind - I use Tailwind to schedule and automate my Pinterest pins.